This genius invention is at the origin of an amazing love story. At the opening the card, the Magic Butterfly in his extraordinary flight came to deliver to the girl, the testimony of his feelings. 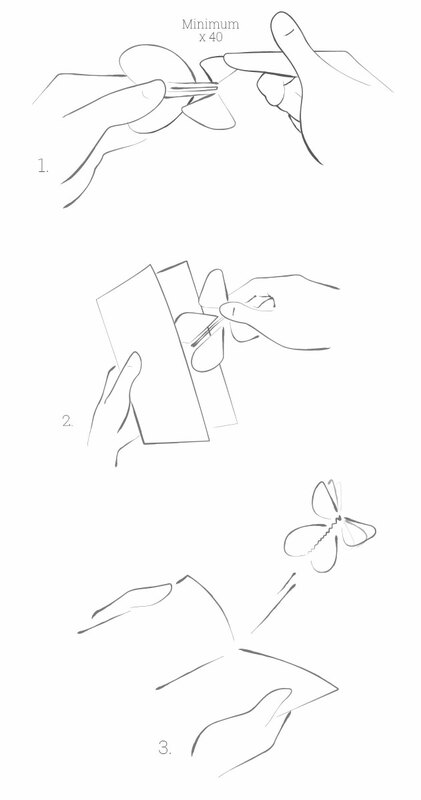 Wing up the butterflies 40 to 50 times and put them in your cards. 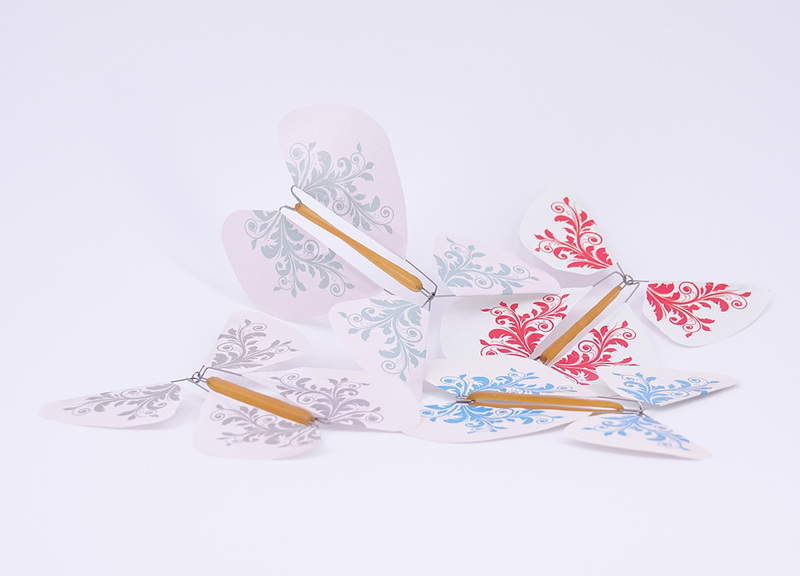 When your recipients open their cards, the butterflies will then take off. 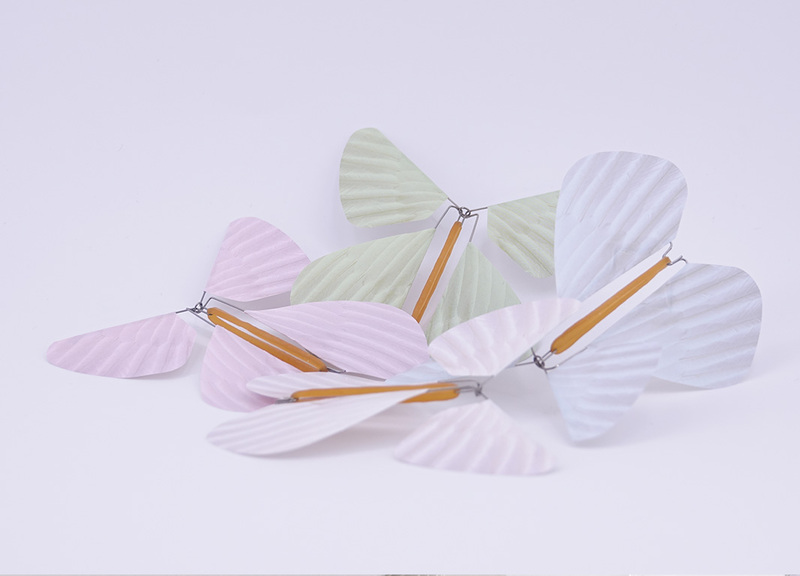 Insert our Magic Butterflies into your cards, your announcements. For weddings, births, birthdays, parties etc. Discover our booklets to create multiple flights. Surprise your customers, your prospects. 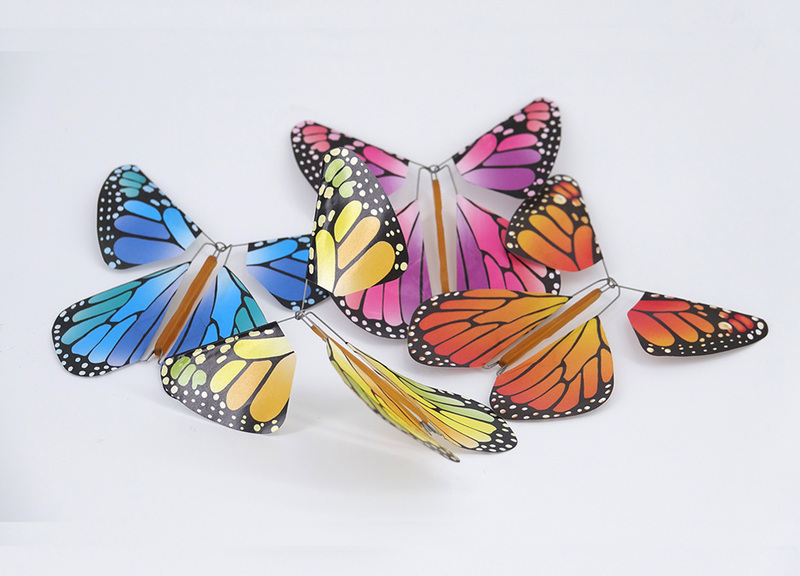 Personalize the Magic Butterfly in your image or that of your customers. Discover our individual packs, our booklets... 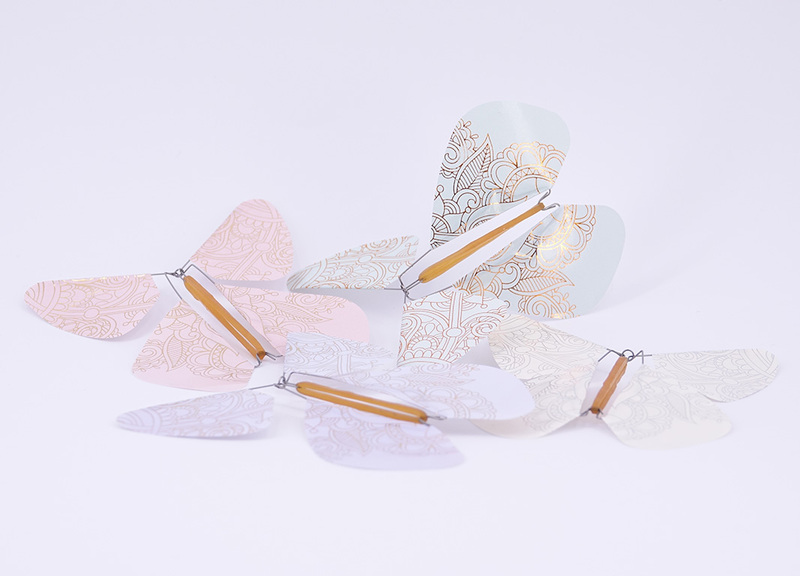 Expand your range with our «Butterfly Flighters». Create an original and spectacular show! 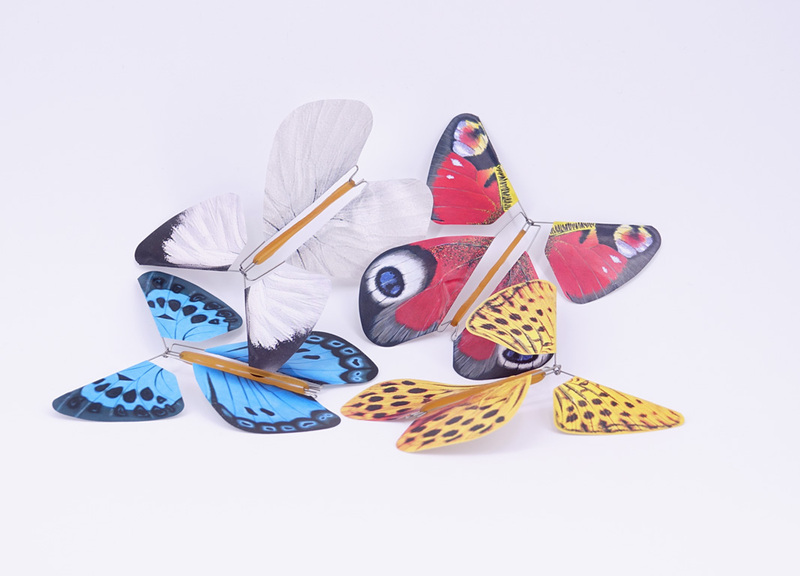 The Magic Butterfly "Fashion Style" surprises on all opportunities. Indomitable, instinctive, breathtaking... Incomparable beauty. Unspeakable fate of fleeting life! Bright colours heady radiance and sour vitality pulse the festive origins of a spiritual sharing. The exhuberance of baroque flower laid on a bright and delicate shade of pastel backside, gives the illusion of a return to the past and a new impulse toward the future. In the darkness of nature, muddy and timeworn, flows the sweet light of pure and clear colours. 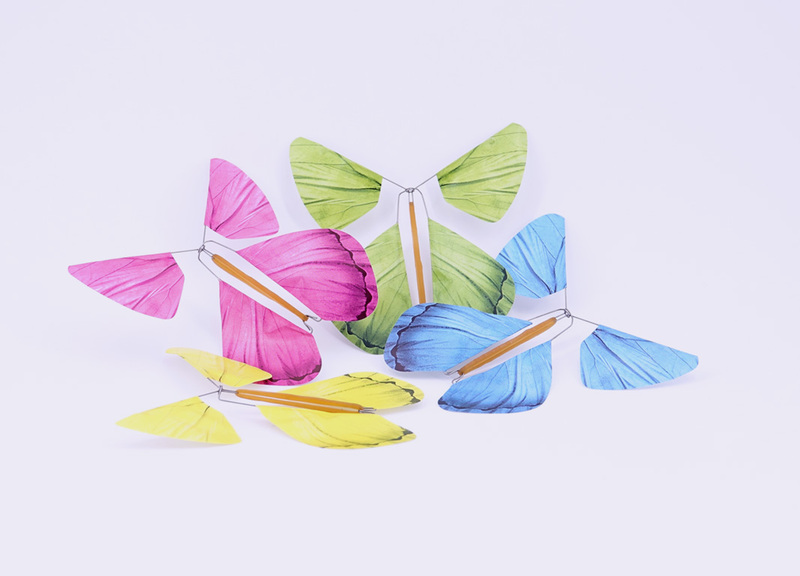 Those Magic Butterflies exhale rich and bright symbols. Distant music from our origins rings on real precious metals. Balance gives rise to complementarity. Harmony of the whole and vibration of colours! Are you a professional and want to become a reseller or benefit from preferential rates?